Our men are some of the quiet heroes in the pregnancy and infant loss community. Shortly after last Sunday’s game a story broke about San Francisco 49ers wide receiver Marquise Goodwin. The Goodwin story became trending news when it was revealed that his emotional breakdown in the end zone after an 83-yard touchdown was no ordinary celebration. As he stated, it was in fact a celebration of faith and life as he and his wife had experienced the tragic death of their baby boy earlier that morning. It was heartbreaking to read that at 19 weeks, Marquise and Morgan Goodwin’s son was stillborn. As I’ve followed the story throughout the week, reading various articles and blogs for updates, I couldn’t help but read the comments in response. The outpouring of love and support is inspiring. Our men are often overlooked when discussing pregnancy and infant loss, so I’m personally moved by stories that feature pain from the father’s perspective. But in this instance, I found myself somewhat troubled. The lack of compassion expressed towards a grieving parent is mind-boggling. I’m not sure how anyone could trivialize the death of a child at any age or stage. Our son Colby died when he was seven days old. His death, from complications following a premature birth, changed our lives. My husband was a high school head football coach at the time. I remember how he threw himself into work almost immediately. He never took a break. We worked through our grief together. The only requirement in grief is that you grieve. Your way. I’m sure my personal experience with child loss allows insight into the journey of a grieving parent. But I would imagine that I’d still operate from a place of compassion and empathy had I never lost a child. I was struck by one of the first comments that I read following the Goodwin story. It was a reader insisting that Marquise should have been at his wife’s side instead of playing football. We’ve since learned that he played at the urging of his wife, but why does it matter? What if it was his decision? Why is he expected to forgo his pain? Who decides when it’s best for him to return to work? How long is he allowed to grieve? Is he allowed to grieve at all? In the pregnancy and infant loss community we often focus on the needs of the mother. As I’ve combed the comments, it’s evident that for much of our society it’s the expectation. And that needs to change. Our men need a safe space to grieve. This moment in our journey remains one of my most heartbreaking memories. I felt extremely helpless. I wanted to do so much more than hold him. I needed to find the answers. I needed him to go on! The season following the death of our son would be my husband’s last season with that team. We actually relocated from Fort Lauderdale, FL to Atlanta when it ended. I remember sitting down to help write his resignation letter. He wanted to let it all go. We sold our home and left everything behind. It all happened so fast and I was stricken with so much grief that I don’t think I even realized that we were making such a major decision. Before we left, one of the players brought over a gift. In the bag was the movie “Facing the Giants”, great movie! It’s remained one of my favorite movies. Because Yes! Coach, I see you! My husband is a gentle giant. He’s a man of great strength and character. He is the ultimate provider and protector of our family. For years he has carried my grief on his shoulders, sacrificing his own. He’s dried my tears while encapsulating his pain. In moments of doubt he assures me that I can go on, while he teeters along the healing journey himself. He found a way to go on. The 49ers are off this week. 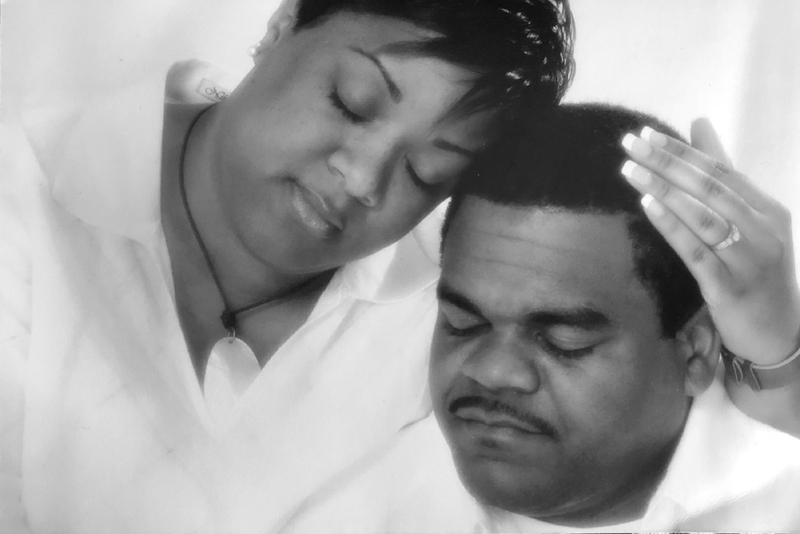 I pray that the Goodwins are given space to continue their journey of grief and healing. In all of his post game interviews, I noticed how Marquise Goodwin praised his wife. It’s what our men do. They make us stronger. Fathers of angels, its who they are. They are indeed the quiet heroes of life after pregnancy and infant loss. So to every man who has stood by a grieving mother, we see you. Thank You! To the father who puts his needs aside to take care of his wife and family in times of grief, we see you. Thank You! To the man who sits in his car on his lunch break crying after his girlfriend's miscarriage, we see you. Thank You! To the father who breaks down quietly at night when everyone is asleep, we see you. Thank You! To Marquise Goodwin for exposing your pain to the world with such grace and courage, we see you. Thank You! And to my man, Rodrick Taplin, for carrying me on your shoulders and being all that I’ve ever needed you to be, we see you. THANK YOU! PICTURE NOTE: The featured image is from our engagement photo series with Phoetic. The original photo was placed in our son Colby’s incubator during his seven days in the NICU. It remains in our memory box created by the hospital staff and will forever be a cherished portrait. To Mr. Phoetic, a father who has grieved, Thank You!